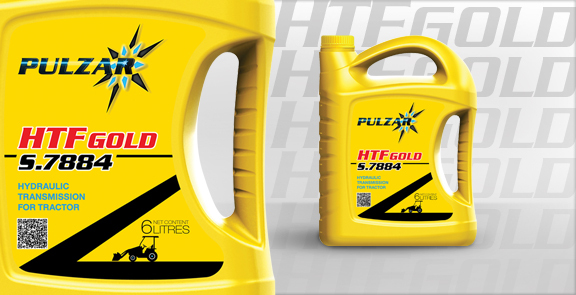 PULZAR HTF GOLD S.7884 is an advanced tractor fluid designed to handle the performance requirements of all farm equipment manufacturers. It contains the latest technology tractor additive and high-quality Group II base stocks to increase film strength; improve extreme pressure performance, water tolerance, load carrying capacity and seal swell control, and prevent brake chatter. This makes PULZAR HTF GOLD S.7884 a truly multi-functional fluid for use in all major types of tractors for transmissions, wet-brakes, power takeoff and hydraulics. PULZAR HTF GOLD S.7884 is recommended for worldwide use in tractor and implement hydraulic systems. It is recommended for all tractor manufactured systems including those in the accompanying table.